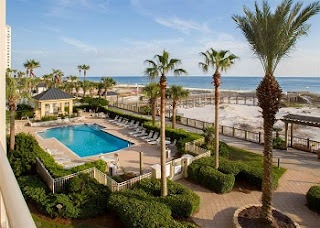 Amazing beach-view condo at the Beach Club Resort in Gulf Shores Alabama on the Fort Morgan Peninsula, beautifully decorated vacation rental home in family-friendly Gulf Shores on the Alabama Gulf Coast. New tile through out complete unit Jan. 2014. New living room furnishings May 2015. Soft, white sand beaches with all the amenities. This area is a perfect place to unwind and rejuvenate your family in the warm sunshine! The Beach Club is a self contained resort with on site shopping/ dining and entertainment.